IPSC shooting represents a new, exciting form of sport shooting and was established to promote, maintain, and advance practical marksmanship. IPSC shooters need to blend accuracy, power, and speed into a winning combination. Multiple targets, moving targets, targets that react when hit, penalty targets, or even partially covered targets, obstacles, movement, competitive strategies, and other techniques are all a part of IPSC to keep shooters challenged and spectators engaged. In all target pistol shooting events, competitors aim at a 10 ring target in the standing position, use only one hand to fire the pistol and the wrist must be completely free of support. 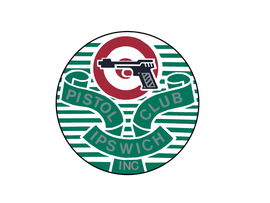 Target pistol shooting events include 10m Air Pistol, 50m Pistol, 25m Pistol, Rapid Fire Stage, 25m Rapid Fire, 25m Centre Fire Pistol, and 25m Standard Pistol. Come see us on Facebook now!